Dan Cosley is an associate professor in information science at Cornell University who does research around human-computer interaction and social media. His high-level research goal is to build systems that leverage people's pre-existing behavior in digital media to create new individual and social goods. These include SuggestBot, a recommender system that uses Wikipedia editing behavior and link structure to help contributors find articles they are interested in and that the community has marked as needing work, and Pensieve, a system that reminds people to reminisce and write about the past by sending them prompts based on content they have created in social media. This work is supported by a 2009 NSF CAREER grant. 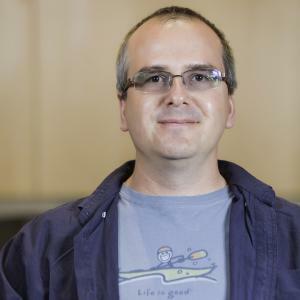 Along the way, he has studied a number of domains, including recommender systems, tagging, mobile interaction, museum informatics, and online communities. He values interdisciplinary research, sees research experience as a core component of undergraduate as well as graduate education, and prefers work that makes contributions both to academia and to society more broadly. He received his PhD in computer science in 2006 from the University of Minnesota under the guidance of advisors John Riedl and Loren Terveen.